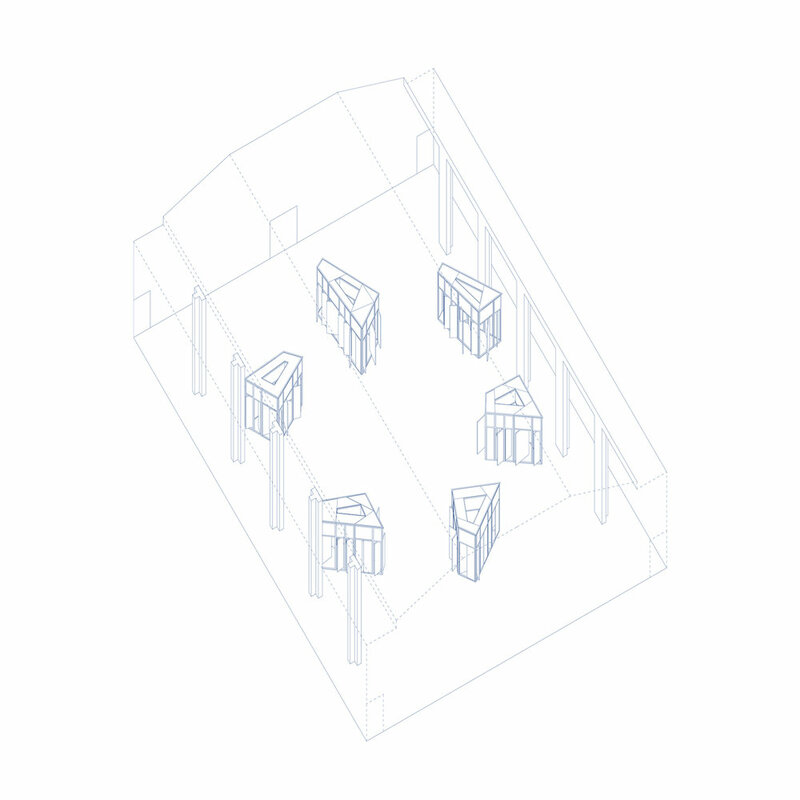 These drawings were produced as part of our process of finding and testing different venues in their capacity to host Permutations. Touring is a critical aspect in the life of the project. 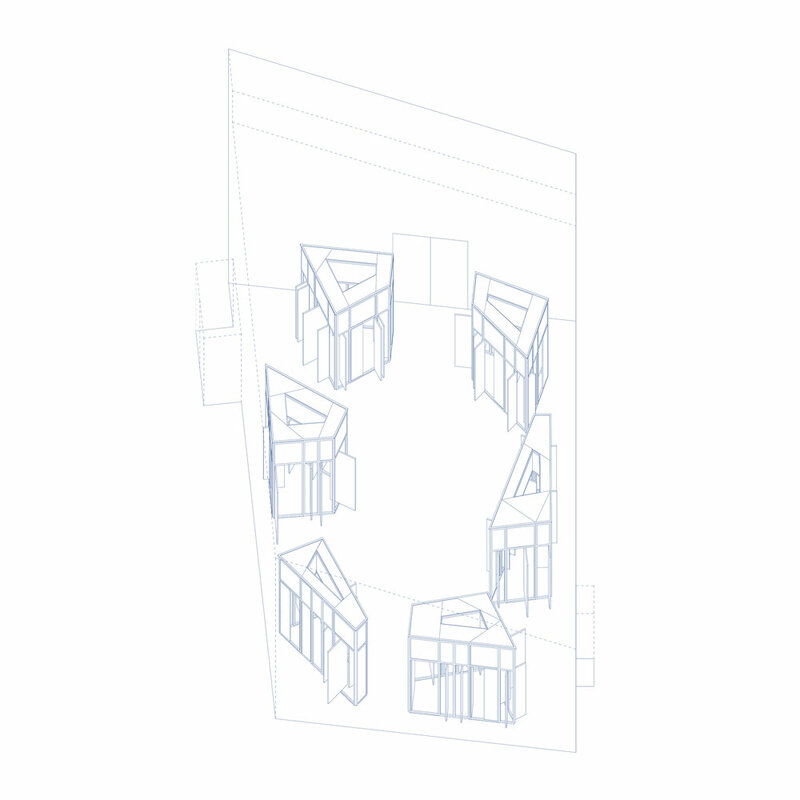 Due to its nature as 6 travelling chambers, it can function in a great variety of spaces and the contingency inherent in the touring process is welcomed. Each time Permutations travels to a new location, the host venue lends character to the listener’s experience of the piece, both acoustically and experientially.